As an experienced family lawyer in Statesville, NC, I will provide you with helpful advice as you make decisions about your family’s future. Family life is often filled with many good and bad situations that can either strengthen or weaken the delicate dynamics of your familial relationships. Whether you are interested in bringing a new child into your family through the adoption process or need to end your marriage with a divorce, a family lawyer can help you with the changes occurring in your life. When you turn to me, W. Sloan Goforth, Attorney at Law, I will take as much time as needed to help you uncover all of your options and ultimately help you reach a conclusion that preserves the best interests of you and your family members. As a family lawyer, I realize that family law matters are typically very complex and are usually dealt with at a time when stress and emotions are running high. I also understand that making life-altering legal decisions can be hard to do when these circumstances are present. As an experienced family lawyer, I will help you see the bigger picture and provide you with helpful advice as you make decisions about your family’s future. Not only will I provide you with customized legal advice, but I will also make sure that you feel comfortable and confident in my abilities as your family lawyer. Throughout the duration of your case, I will always be here for you to answer your questions and listen to your concerns. If you need a family lawyer in the Statesville, North Carolina area, I encourage you to contact my law office to schedule a free consultation. I look forward to meeting with you. 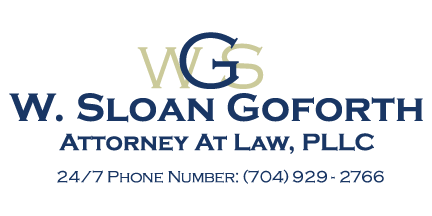 At the office of W. Sloan Goforth, Attorney at Law, our family lawyer proudly serves residents of Statesville, Troutman, Taylorsville, Mocksville, Mooresville, Hickory, Iredell County, Alexander County, and Davie County, North Carolina.